Jigsaw Guru is a relaxing jigsaw puzzle game, with some useful helps for players having a hard time finishing a puzzle, or wanting an easier experience. Very casual, with no time limit, you can save whenever you want, and pick up where you left off. 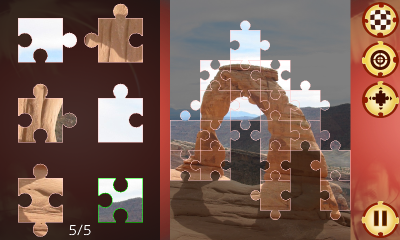 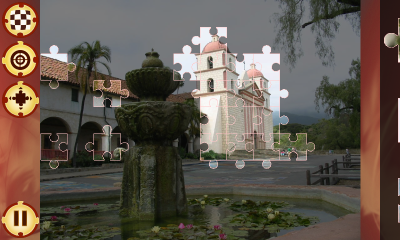 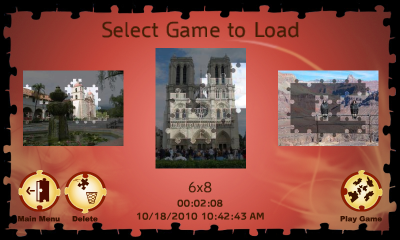 Depending on the difficulty level you choose, a game can last between a minute and a whole hour, and you may have to use the zoom functionality to look at different parts of the picture. 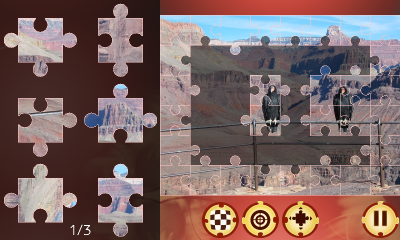 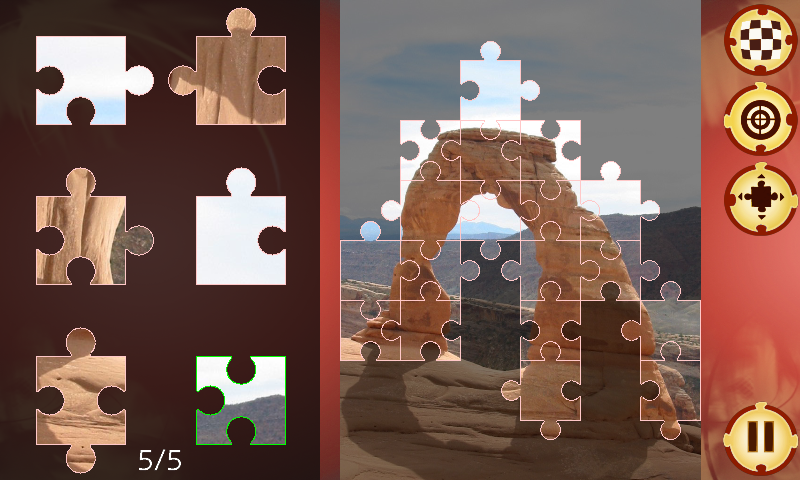 The full version of Jigsaw Guru allows you to play with any photo on your phone, for even more hours of fun.